A study by Spanish researchers found that eco-friendly LED lights can be damaging to your retinas, which cannot regrow or be replaced. The lights produce high levels of radiation in the "blue band" of the light ray rainbow, which, over time, can damage retinas, ThinkSpain reported. Dr. Celia Sanchez Ramos, an investigator at Madrid's Complutense University, said that the retina -- a highly-sensitive tissue covering the eye -- never regrow itself or be replaced once it has become damaged. Sanchez Ramos said damaged retinas is likely to become an epidemic sometime soon because of the use of computer, mobile phone and TV screens, and even traffic lights and street lights, which have been gradually replaced with LED. "This problem is going to get worse, because humans are living longer and children are using electronic devices from a young age, particularly for schoolwork, instead of paper," Sanchez Ramos said. "Eyes are not designed to look directly at light -- they are designed to see with light." However, people can fight the effects of the dangerous rays by wearing "adequate protection," and by closing "our eyes often to soften the impact." 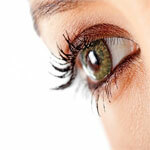 Adding foods to your diet that are rich in vitamin A, such as spinach and peppers, will protect the eyes, Ramos said. Copyright 2013 United Press International, Inc. (UPI). Any reproduction, republication, redistribution and/or modification of any UPI content is expressly prohibited without UPI's prior written consent.